But before you hit the court, it's important to get your game on safely. By practicing a pregame plan for these strenuous workouts, you'll be less likely to experience injuries that could leave you sidelined. 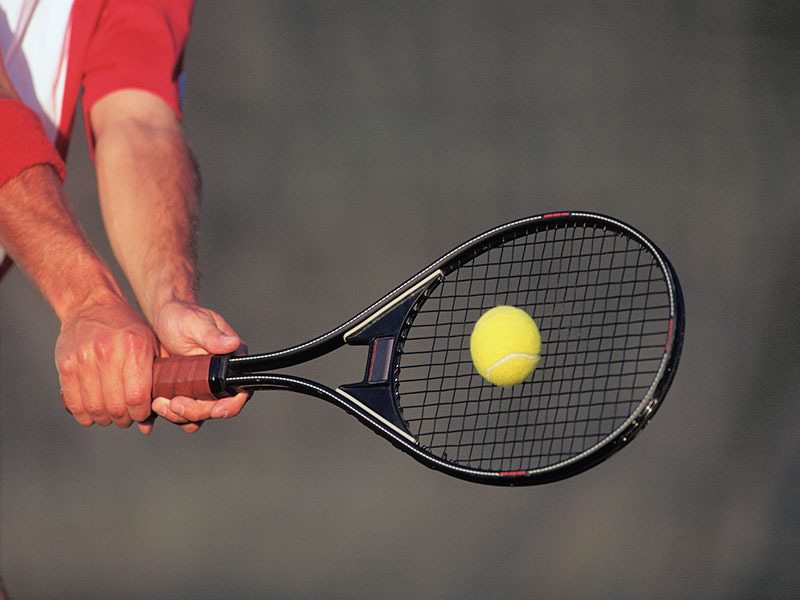 Tennis prep steps are simple -- warm up and then stretch. First, take five minutes to jog, walk briskly or do jumping jacks to raise your body temperature and prepare your heart and lungs. Next, do a series of dynamic stretches. Dynamic stretches incorporate movement, and research shows they are beneficial to do before play. Start with 10 arm and wrist circles and then move to arm rotations, all for the upper body. For the lower body, try movements like cross over hip stretches and alternate side toe touches, 15 to each side. For the core, do 10 each of standing rotations and diagonal chops to the knees. What you do after play is just as important. As you leave the court, bring down your heart rate with five minutes of walking, jogging or side shuffling. Follow with static stretches -- these are no-movement stretches that are held for 15 to 20 seconds each. Start with shoulder and forearm stretches for the upper body and then move to quad stretches for legs. If you're a weekend-only player, do other cardio on at least three weekdays. If you're a doubles player, consider singles. It's a harder workout and will burn more calories.